Since 2000, One of a Kind Design has specialized in making your residential or light commercial space more functional and beautiful. From simple face-lifts to the most challenging spaces, we offer unique, outside-the-box solutions! 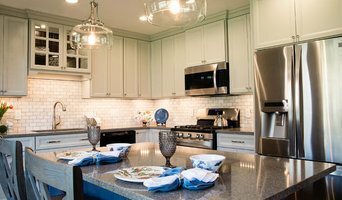 Julie is a Certified Kitchen Designer with over 18 years experience, primarily with custom cabinetry. She can also provide plan sets for your renovation project, help with lighting and finishes, color palettes, full project management and more. One of a Kind Design even offers a unique Online Design Service, so Julie can help you no matter where you are! Reach out today for your 3D Renderings of your home! Basic Concept is a Design Build Firm which handles each project from start to finish. Once establishing your design needs, we will craft a beautiful and fully functioning space for your home or business. We provide full design services from signage and facades, to shop drawings for custom casework and cabinetry. We work with our contractors to provide seamless delivery. Basic Concept has been in business since 1985 providing design services to the greater Pittsburgh community. Owner Charles Stern has worked with many prominent businesses in the community to help shape the look of what downtown Pittsburgh has become today. Some of BCI's designs include: Nola, Diamond Market, and Vallozzi's in Market Square alone. More restaurants include Sienna Mercato, Sonoma Grille, Seviche, Nakama, and North Park Lounge. Basic Concept Interiors has its' hand in rebranding for Primanti Brother's, a true Pittsburgh classic. Additionally, Basic Concept Interiors has partially or fully redesigned homes for some of Pittsburgh's business leaders and has residential clients reaching as far as Colorado. Our mission is to bring your vision to life while creating an intuitive and efficient space for the end user. We continually deliver first class, one of a kind design. It is our desire to make the design to construction process as seamless as possible and provide you timely and fully inclusive service. Gaskill Architecture LLC is a boutique residential design firm focusing on projects of every scale. Our true passion and business focus is residential design. Our services include architecture, interior design, landscape design, sustainable design, historic preservation, master planning, urban planning, and construction administration, which allows us to offer a holistic design approach to every client. Robert Gaskill, RA, NCARB, LEED AP is the founder of Gaskill Architecture LLC. Robert's passion and dedication for design has been demonstrated with a diverse range of national and international award winning projects. Robert earned his B.S and Master’s in Architecture degrees from Kent State University. We believe that understanding our clients' vision and goals is the fundamental principle for a successful project. Our design process is very engaging with the integration of our collaborative software tools, which also provides a clear visual understanding of each project. The interactive software not only provides photo realistic images for our clients’ projects, but reduces inaccuracies in the construction documents. Design is a reaction to the programmatic needs of the client and the natural surroundings of the project site. Whether the design is responding to an urban or rural location, the architecture should embrace the surroundings and blur the lines of land and building. Any project can excel in design, regardless of the budget. We believe in designing an experience. M.C. Enterprises is the one-stop resource for creating a new look for your home. We specialize in residential homes with designs that reflect our clients’ personality and lifestyle. At M.C. Enterprises we make sure that the job is completed from beginning to end and that our customers are happy with the quality and craftsmanship throughout. M.C. Enterprises has been in partnership with The Home Depot since 1996. In 2003, we were chosen as the Exclusive Authorized Installer for 13 western Pennsylvania Home Depots. Allow M.C. and our team to help you create a home out of your living space! Evalia Design, LLC. is a full-service, design firm with a distinguished reputation. Whether you need help with minor updating, large-scale renovations or new construction, we'll help you achieve the look you want. We believe your home should reflect your personal taste and style. That's why we spend considerable time listening to each client's specific goals and ideas right from the start. Then we guide you every step of the way until your vision is realized. Our team is skilled at solving complex space and design problems. We work closely with architects, interior designers, builders and contractors to ensure quality workmanship and attention to detail. Our extensive experience and creativity have led to industry recognition and most importantly, very satisfied clients. “You Dream it we build it” - it’s not just a slogan it’s a passion. We listen to you and collaborate with you to achieve your goals and build your dream. We don’t just hire subcontractors; we directly employ skilled tradesman to be on site from start to finish. Graf Custom Construction specializes in custom, new home construction, additions, remodeling and insulated concrete foundations. Finish Trim Carpenter who specializes in staircase installations and built in furniture. 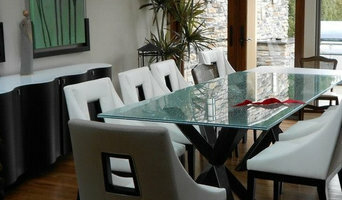 Custom Furniture and Home Renovations and New Constructions and Additions, Sheds. We have expanding our services to include painting, small electrical and appliance installations. Outdoor living spaces and porches. Let Harton Hall designers and Amish Craftsmen help you create the room of your dreams with cabinetry and furniture built specifically to your needs. We specialize in kitchens, bathrooms, libraries, media rooms, mudrooms, and furniture, including tables, chairs, and dressers, as well as outdoor furniture and woodworking. With premium wood and craftsmanship, you won't find a better product. With our prices, you will find custom woodworking you can afford. ENTASIS is an architectural firm with registered architects on staff ready to assist you with your design needs. We take client interaction very personally, and we pay attention to details. We will guide you through the entire process from establishing your wishes through design, to the completion of construction. We want to make your design journey enjoyable and help you realize your goals within your budget. 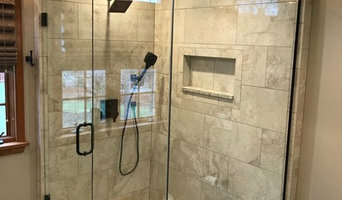 Beck Renovate and Remodel is a local home remodeling contractor in Pittsburgh, PA. We are a family business specializing in residential remodeling projects. Our specialties are home additions that look like the original home; transforming unused space into useful living space; and creating wonderful outdoor living rooms, kitchens, decks, and more. Our goal is to make the entire process go as smoothly for you as possible. Mission Statement: Beck Renovate and Remodel builds additions and transforms homes by combining high quality with excellence and create the best possible experience and to construct their dream. We’ve been through our own home renovations – including an in-ground pool, a garage, and a finished basement – and we know what it’s like! We take as much care on our projects as if we’re living in the home ourselves. Trust and truth in building. We are a family owned business with over 25 years off experience. We specialize in custom blended additions and personalized remodeling. Our projects are met with close attention to detail and never sacrificing quality workmanship. As a Pittsburgh family that has built our own projects, we know Pittsburgh homes and we love to care for our family. Our priority is your family. Next Generation Business We have branched out on our own after working for 25 years in the original family remodeling business, R.A. Beck Builder and Contracting Company. We provide complete residential construction and remodeling services, with free consultations and free estimates. We pay strict attention to details on every home renovation project, from start to finish, beginning with a detailed Sales Contract and Specification Sheets for the project. We are certified to remove lead paint on any project. Questions? Please contact Beck Renovate and Remodel at (412) 389-5093 today to discuss your home renovation or remodeling needs, or send us a message. We look forward to speaking with you about how we can transform your house into a home beautiful! We are a home improvement and remodeling company serving the Indiana, Clarion, Armstrong and Jefferson counties. Since 1990, Kenneth J. Krukowski Architect, LLC has offered diverse professional services in the residential design field. Specifically, the firm specializes in new home construction, renovations and additions including kitchens and bathroom design. The guiding philosophy we bring to each project to create unique and distinctive architectural solutions to individual problems through attention to detail and personal client service.